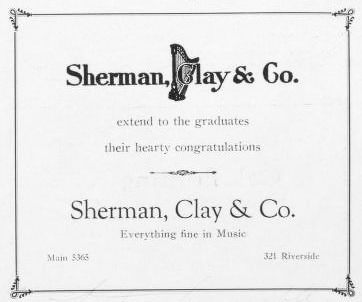 Vintage Spokane: Sherman, Clay & Co. Graduates -- your education is not complete without an appreciation for the best in music. 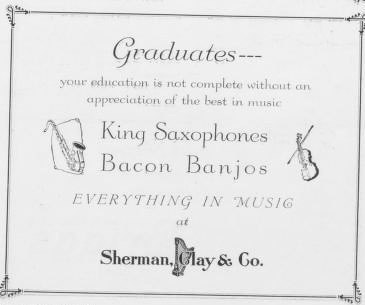 King saxophones, bacon banjos. Everything in music. Extend to the graduates their hearty congratulations. Everything in music. Main 3363.